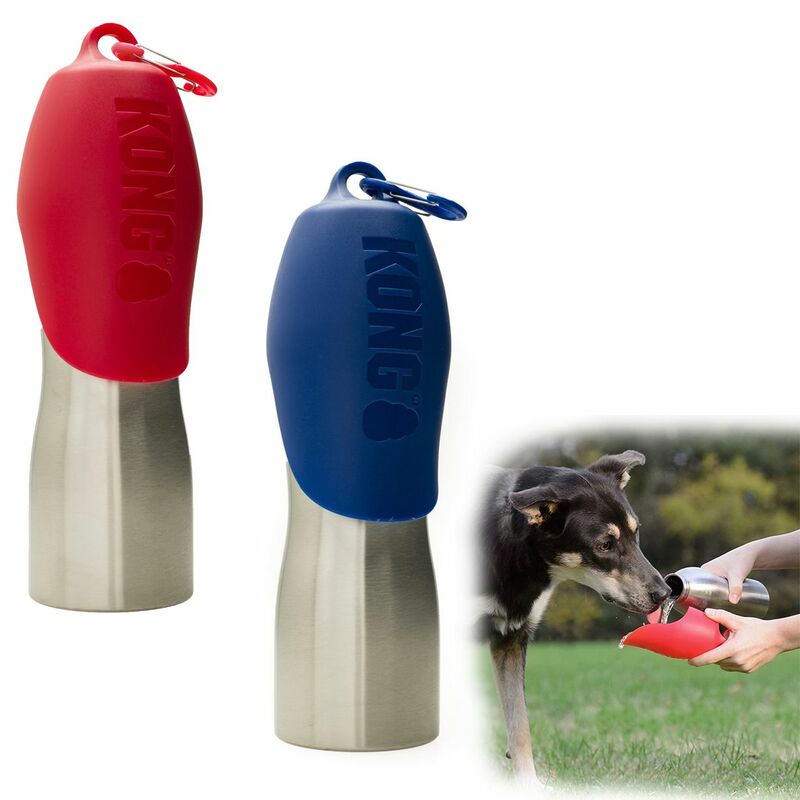 Home > Shop Dog Gear > Dog Bowls & Hydration > Kong H2O Stainless Steel Dog Water Bottle 25 oz. DESIGNED FOR DOGS: The twist top travel lid was made to fit a dog�s natural drinking style. 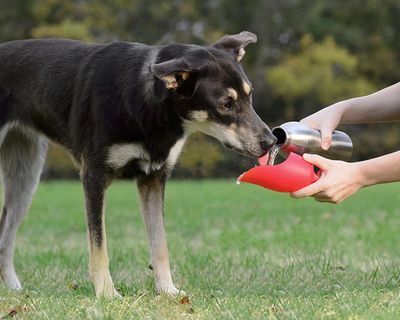 SAFE FOR YOUR DOG: Safe for your dog and earth-friendly, the lid is BPA-free and the bottle is food grade stainless steel.